The Fred Sherwood Group of companies is built on the longstanding and solid foundations of a business. Fred Sherwood Transport was formed in the 1920s when Fred Sherwood bought his first Bedford van and over the coming decades it grew into a thriving business. Through hard work and acquisitions, the Fred Sherwood group today has become a leading national provider of bulk Haulage of all kinds across the UK. The Group includes the following Haulage companies: Bulk Freight Ltd, Fred Sherwood Transport Ltd, George Varney (Bulk Freight) Ltd and K J Transport Ltd. It also includes a number of companies in related industries: Bulk Minerals Ltd, Elliott Signs Ltd (a specialist in vehicle graphics), J23 Lorry Park Ltd, Sherwood Commercial Vehicle Repair Centre Ltd and Sherwood Self Store Ltd.
A summer signing in 2011, second-rower Graham Kitchener collected an Anglo-Welsh Cup winner’s medal in his first season at Tigers and ended the campaign as an Aviva Premiership finalist before joining the England squad for the summer tour to South Africa. On tour he played in both midweek fixtures alongside club colleagues Anthony Allen and Tom Youngs, and he was named in the Saxons squad for the following two seasons. After being called into the senior training squad in the summer of 2014, Kitchener captained England against the Barbarians at Twickenham and was again involved in the squad for the 2015 Six Nations, though he is yet to gain a Test cap. The previous season had ended at Twickenham too, and with the vital second try in the Premiership Final win over Northampton Saints on his way to a first league title. Kitchener was the only Tigers player named in the BT Sport Dream Team at the 2014/15 Premiership Rugby awards and was among the nominations for the Supporters’ Player of the Season at Tigers. As well as combining professional rugby with studying for a sociology degree, Kitchener played 72 times for Worcester Warriors between 2007/08 and 2010/11, and ended his last season there with a Championship title and a Churchill Cup win with England Saxons, as well as playing for England against the Barbarians. 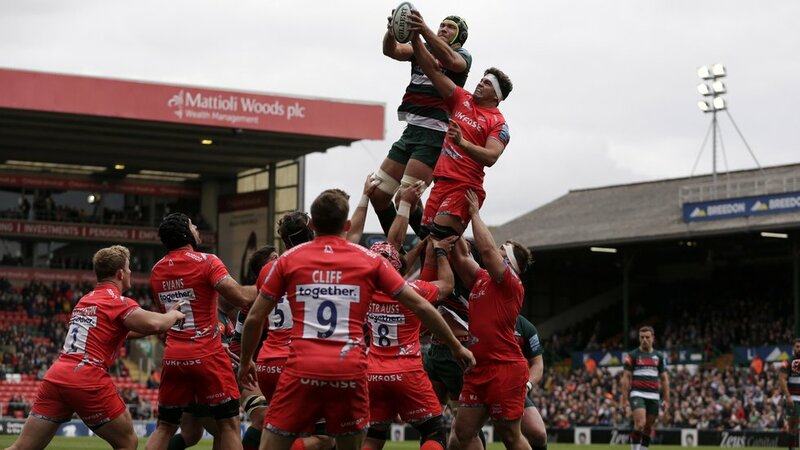 At Tigers, he studied for a Masters degree as well as becoming one of the top lineout operators in Premiership rugby and passed 150 appearances for the club during the 2017/18 season. Originally from Bromley in Kent, Graham was a young footballer on the books of Wolverhampton Wanderers, played junior cricket for Shropshire and was a successful schoolboy athlete as well as winning a Grand Slam with England Under-20s in 2008 and reaching the final of the Junior World Championships in 2009.